Kindness is always a great topic to discuss with your students. Practicing kindness is very important as well and giving them structured opportunities to do so can be easy. Here’s one great idea that I started on a whim last week for “Friendly Friday” and it was a big hit! Give each student a small card (or paper) and have them pick the name of a student out of a hat. (I used my Popsicle sticks.) They need to keep this name a SECRET!!! Hint – For this first time, I just cut index cards in half because it was a last minute thought. You could use anything, really. As weeks go on you could have fun with what you decide to use. You might even raid the recycling bin for some ideas. Ask students to create a simple card for their person that contains a compliment. They may need to spend some time observing the person to decide on a nice compliment. Hint – You may need to go over what it means to give a compliment. Sometimes students will start with a compliment such as, “I like your shoes.” While this is nice, you will want them to develop the ability to also find other qualities to compliment such as a person’s great personality or helpfulness. This certainly will take some practice! Hint – Have students write the name of the recipient clearly on the front of their card or note. Hint – Keep it simple. Using a small card will not seem overwhelming to some students. Also, allowing them to just use pencil is a good way to keep the stress out of creating the card. The social/relationship aspect of this activity may be stressful enough! 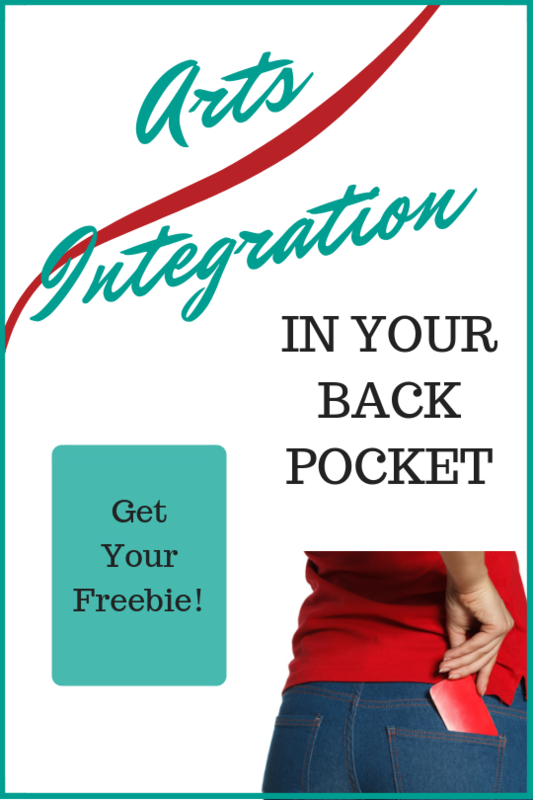 Collect the cards and allow yourself a moment to check the content and make adjustments as needed. So what does this have to do with SEL? What doesn’t it? 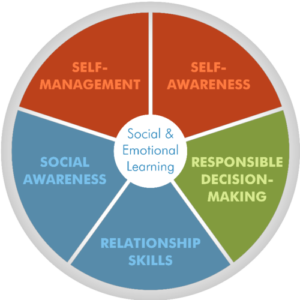 From the SEL competency wheel, this activity develops Social Awareness and Relationship Skills as well as helps them to practice Responsible Decision-Making. Within Social Awareness, this activity focuses on “appreciating diversity” and “respect for others.” Taking the time to observe and notice others is something many students do not do. This gives them a reason to watch and appreciate their classmates. It is always important to build students’ relationship skills. 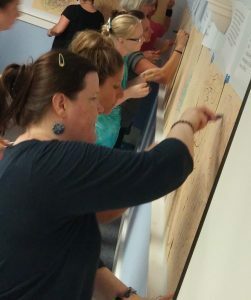 This activity combines that with the positive acts of kindness we want to instill in our students. With Responsible Decision-Making we might usually think of behavioral choices throughout the day, but it also includes making choices around social interactions. 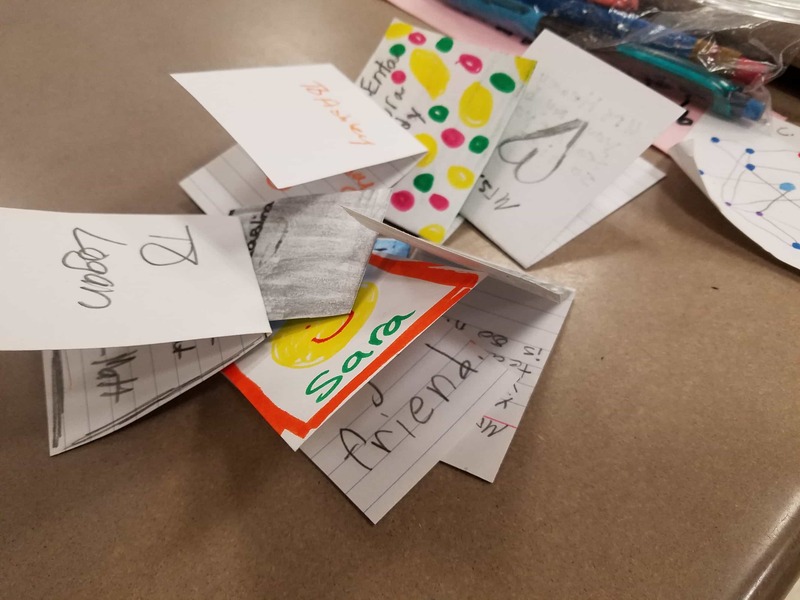 In this activity the interaction is through card-giving and creating a special message for a classmate. Anytime is a good time to practice kindness. I really enjoy doing some specific work with kindness in February. Try this simple activity out and let me know how it goes!